At the Fort Frances Dental Centre and Emo Dental Clinic, we make custom fit sports mouth guards on site. We have you come in for a quick impression appointment: this makes a model of your upper teeth. 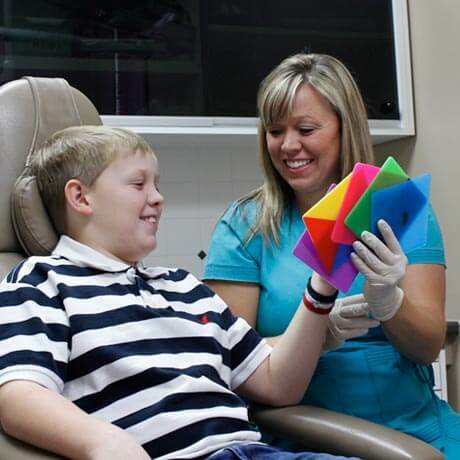 We then use this model to create a sports guard to fit your teeth precisely. Your impression appointment only takes about 15 minutes, and the guard will be ready for pick up about a week later. A custom fit mouth guard fits over your upper teeth and gums to act as a shock absorber. While wearing the mouth guard, forces to the teeth and jaw are distributed and absorbed evenly. This reduces the risk of injury to the teeth, jaw joints and gums. Custom fit mouth guards help prevent injury while fitting comfortably. They adapt smoothly to the upper teeth and gums, staying firmly in place, even when speaking, breathing heavily or playing sports very actively. Available in a wide assortment of colours! Call the Fort Frances Dental Centre or Emo Dental Clinic today to book your impression appointment.